India's Test cricket captain Virat Kohli sends an important Women's Day message about harassment - trendistic.com: ever tried. ever failed. no matter. try again. fail again. fail better. 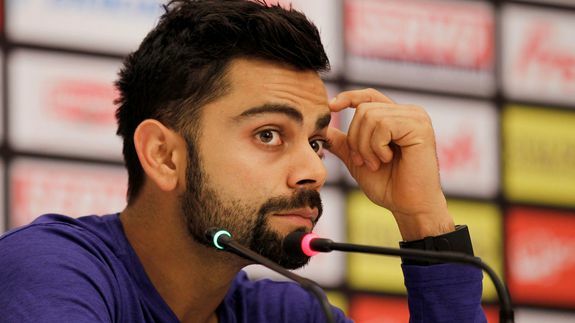 India’s Test cricket captain Virat Kohli sent an important message about the stalking and everyday harassment faced by women on International Women’s Day. “Sorry for the jerks, the whistlers, the cat-callers, the blank-callers, the won’t stop starers, the ‘frandship’ stalkers, the accidental brushers, the glass-ceiling makers. Don’t let them ruin it for the rest of us. Happy Women’s Day,” he wrote on Facebook.